our new seed funding loan! 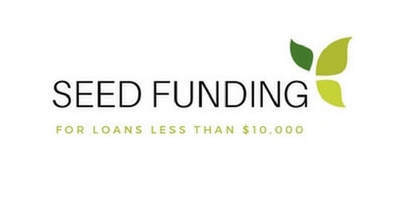 Seed Funding Loan. Our goal is to approve these loans within one week! This means that you will have to approve your application with the loan officer. You will then meet with a couple credit committee members and they will approve/deny your loan application based on your application materials and presentation of your business (this will be the same format as traditional credit committee). Attend Orientation in person or online. After you have completed the orientation our loan officer can help you decide which loan would be the best for your situation.